While all branches of the military tend to consider divorce a private issue, by its nature a military divorce can be rather complicated. Issues of jurisdiction can weigh on how the divorce is conducted. A dedicated military divorce attorney will make sure that your rights and needs are represented. Determining the appropriate jurisdiction for a military divorce can be challenging. 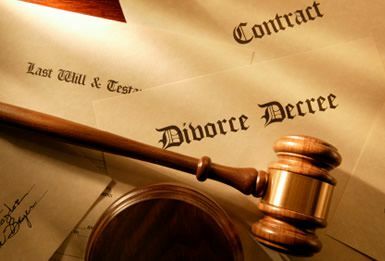 First, certain matters pertaining to the divorce relate to federal law, while state law is relevant for others. Regarding the latter, even determining which state has jurisdiction can be difficult. If, for instance, the parties retain residency in separate states, the appropriate jurisdiction may be the state where the initiator of the divorce has legal residency. On the other hand, both spouses may be living temporarily out of the state in which they have legal residency. A Virginia military divorce attorney will assess such jurisdictional issues and help clear the path to a resolution. Another complicating factor relates to active duty overseas. If one party is deployed, he or she can be served with divorce papers, but has the right to a stay in the divorce through the Servicemembers Civil Relief Act. The purpose of this is to allow the service person to devote attention fully to duty at a critical time. In such situations, a divorce may need to be delayed until the party’s tour of duty is complete. If you need assistance with a military divorce or have additional questions, contact the lawyers at Smith Strong, serving areas from Richmond to Williamsburg. Richmond office: (804) 325-1245 or Williamsburg: (757) 941-4298.